Do you know what an adventure park has in store for you? 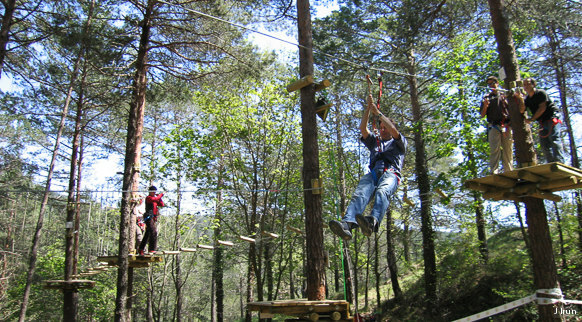 Zip lines, swings, stirrups, walkways, tunnels... and above all plenty of fun in a wonderful forest setting. There are lots of circuits with different levels of difficulty. Choose yours and have a great time!